as they host the 3rd Annual International Coastal Cleanup Day on the West Side of Oahu. This year the main location for check in will be at Makua Beach. 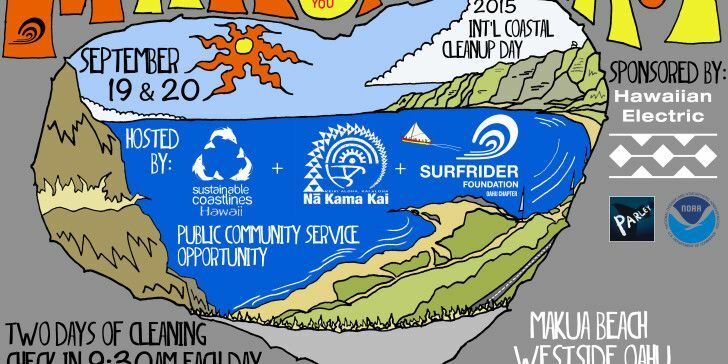 From there we will be cleaning from Keawa’ula Bay/Kaena Point to Keau Beach Park. Land Based debris is littering this fragile and important coastline and it is our goal to inspire more coastal stewardship for this area. By cleaning up you will see that keeping our beaches clean starts at home by reducing your use of plastics and being more responsible in your consumption behaviors. Then is reinforced by educating others and cleaning up every time you visit the beach. Even if you didn’t drop that trash, it is yours. We are all one. 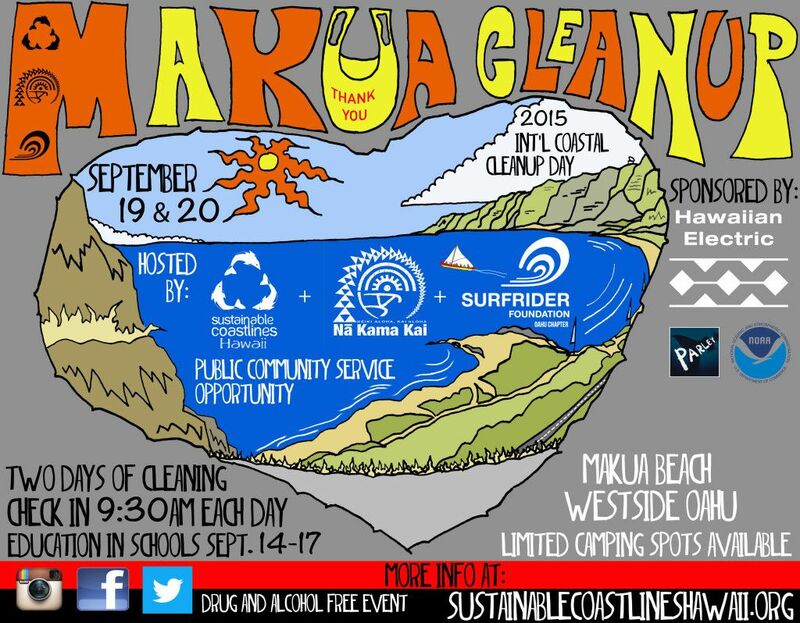 Please check in at Makua Beach at 9:30AM on either Saturday or Sunday. On Saturday after the cleanup we will be providing plastic free lunches and live music. Along with games for the kids and other giveaways. You can find us on Facebook and on Instagram @sustainablecoastlineshawaii.